First cab off the rank? 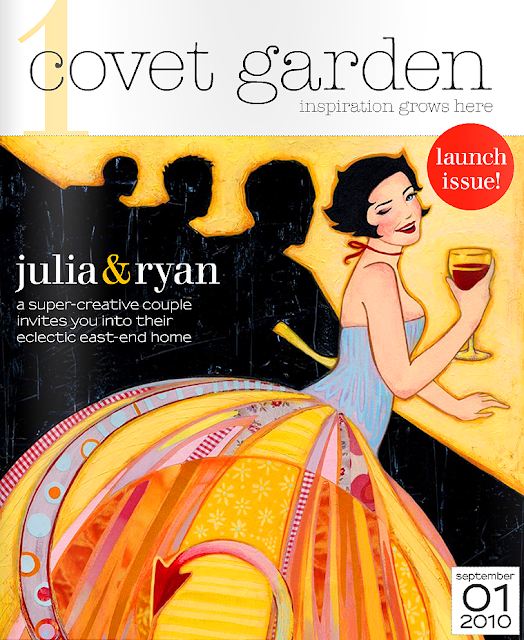 New online decor mag (yes, another one! ), Covet Garden. wonderful lists! i don't know how you find all of them-- but so glad you do! Big thanks for the covetish find .. soooo many things I can buy. Great for a never-get-to-the-shops kinda gal!!! so excited to see our blog, twelve chairs boston, on your list....thanks so much for the shout out! awww... thanks Louise for adding me! Loving your blog so much too! I always looking forward to your weekly blogroll list! always a bliss to check out! :) x hugs, Nattie! Thank you so much for including my obsessive little world! I've had a lot of feedback from people saying that you have recommended it. Lots of blog loving back at you! This is a list of pure gorgeousness and we are so thrilled to be included on it.